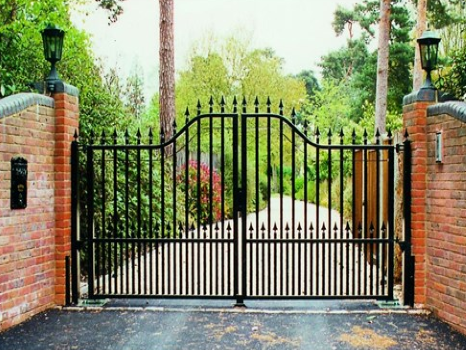 It is easy to see why wrought iron gates and metal gates are so popular. Not only do they add a classic, formidable, and decorative look to any property — they are an excellent crime deterrent. Custom built by British craftsman, using box sectional steel. This steel is powder coated and can also be zinc galvanised to prevent corrosion. This anti corrosion coating is specified to a British Standard known as EN ISO 1461. It can protect the metal from rust for more than 20 years. Low maintenance. The same zinc galvanised process also protects the paint, making it fade and wear-resistant. Daunting for potential thieves. 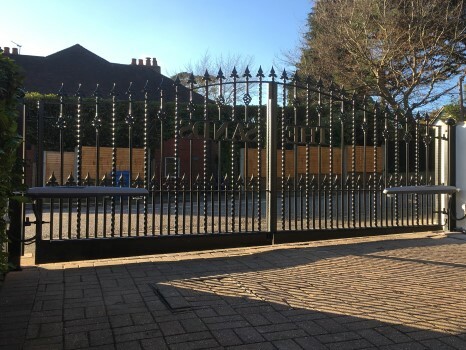 Iron and metal gates are a great way for a property to enhance its security and deter crime — especially when installed along with wrought iron railings, wrought iron side gates, and wrought iron fences. Customisable and beautiful. Many iron gates incorporate decorative symbols that are meaningful to the owner. Valuable to the property. 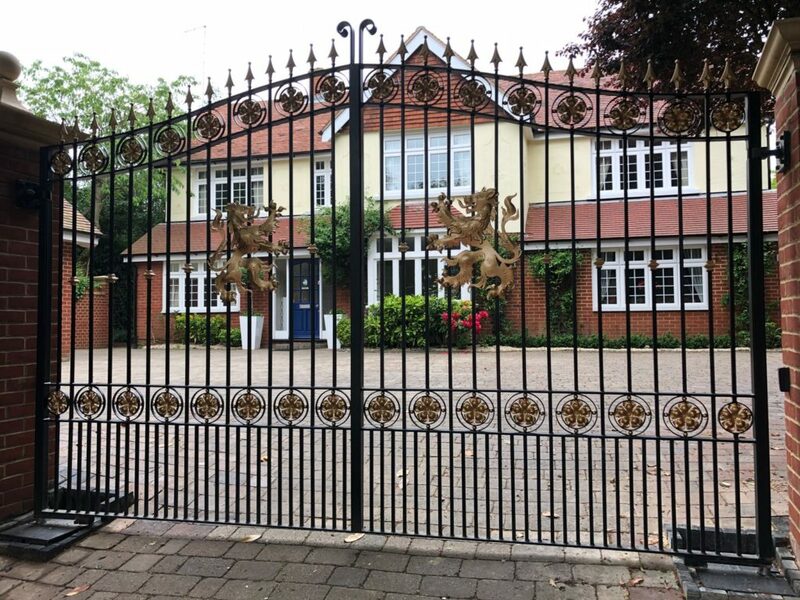 Even a wrought iron gate with a basic design can enhance the value of a home or commercial building, making it look more spacious and attractive. Easy to clean. Often a simple wipe down with a cloth is enough to make them look new again. Very tough and weather-resistant. Come wind or snow or thieves — it will take a lot to damage a wrought iron gate. 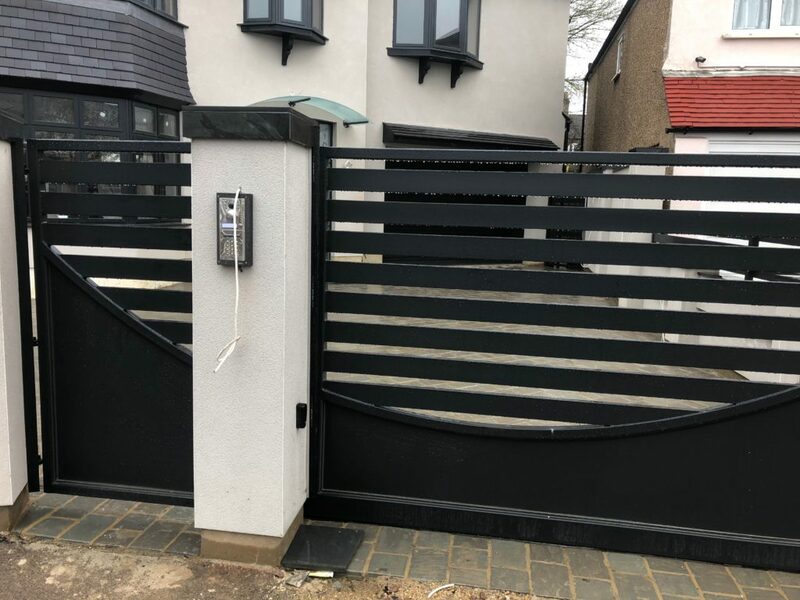 There are dozens of gates and railings designs to choose from, and our expert team will be able to match any design desired by our customers. 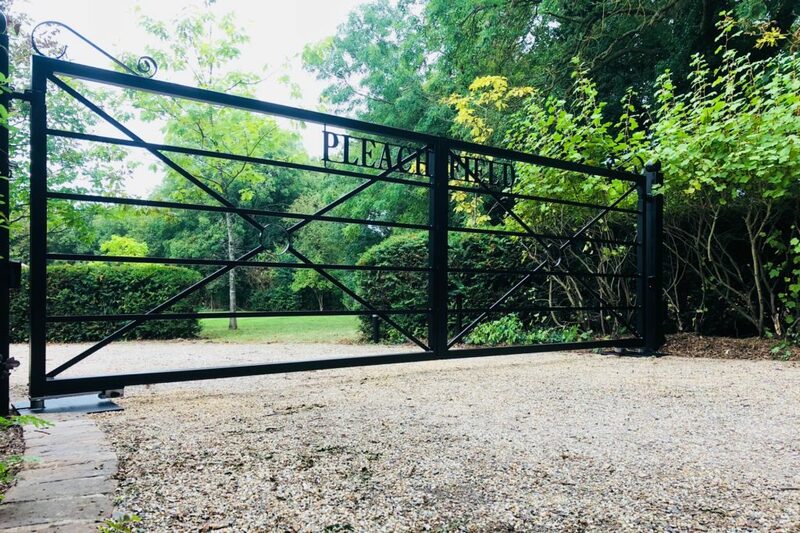 Our unparalleled artisanship, innovation, and expertise in the industry means we can provide beautiful, bespoke gates which are handmade, and truly unique to each individual customer. 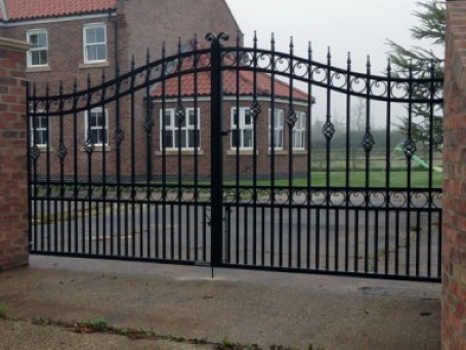 We provide swinging iron gates and sliding iron gates. They are available in both modern and classic designs, including estate gates and electric driveway gates. It is all down to the wants and needs of the customer. 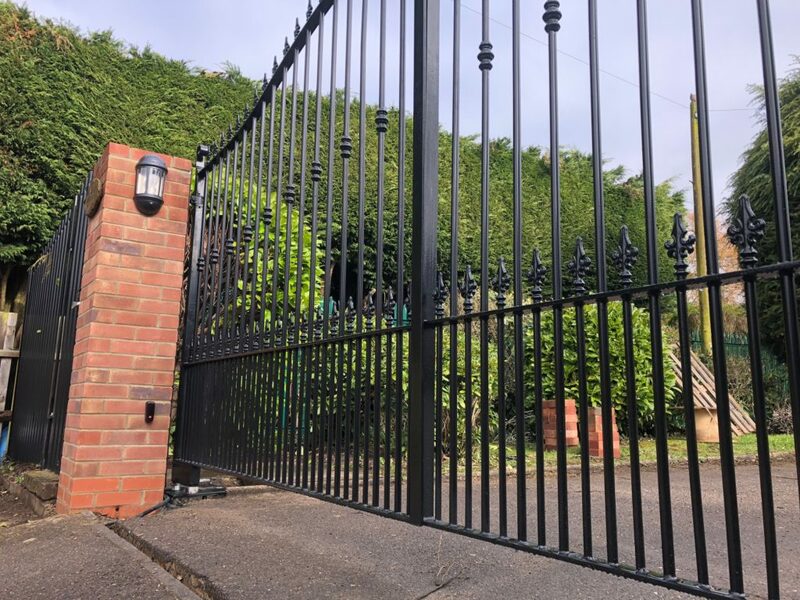 Iron gates are also a popular choice in the garden, where customers wish to extend the security of their homes full-circle, for maximum crime prevention. 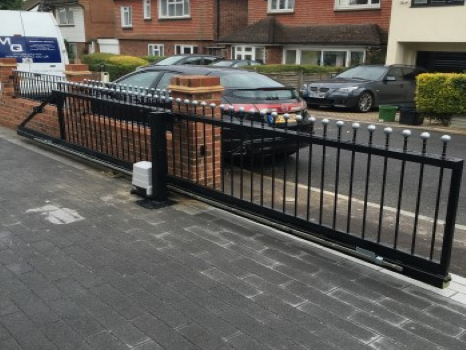 We can also design, fit and install a selection of wrought iron garden fences and garden railings for exactly this purpose. 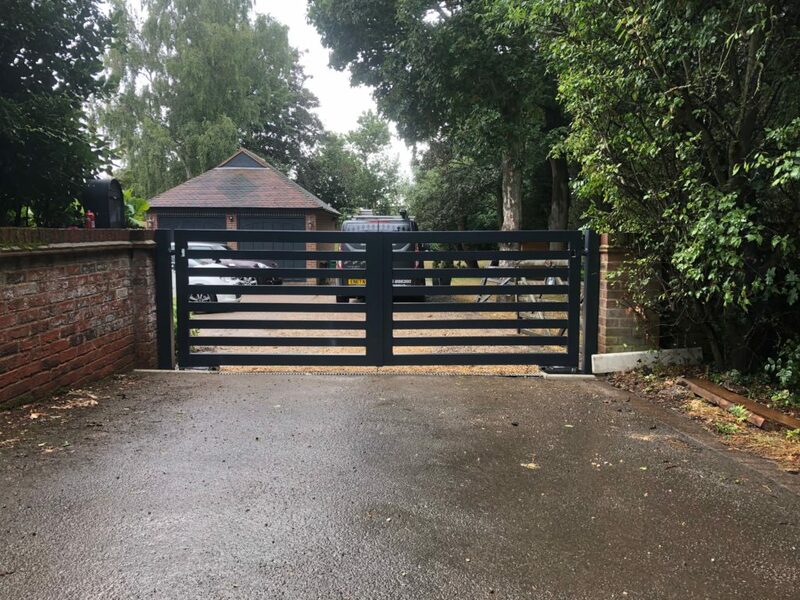 All of our Iron gates are custom built by British craftsman box sectional steel, which has been zinc galvanised to prevent corrosion. Simply choose your gate design and finish – Then we’ll do the rest. 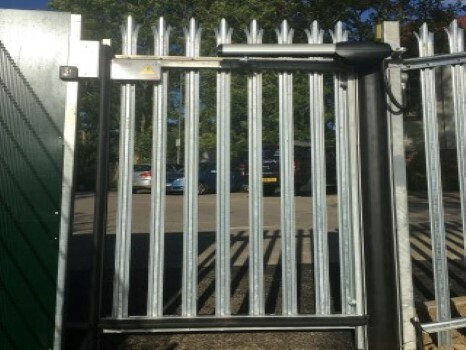 All of our gates are CAME gates and FAAC certified to comply with all of the relevant regulations – including EN 12453, EN 12445, EN 12604, EN 60204-1, and EN 12605 — meaning they are designed, installed, tested, and fully accredited to the highest of standards. 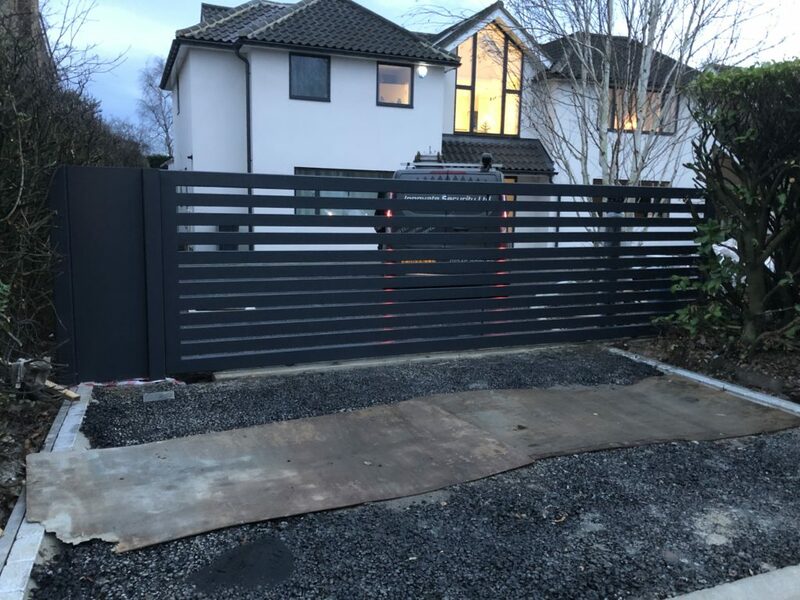 Wooden driveway gates are a popular alternative choice. Please check out our wooden driveway gates here.